Join, champion, and unite the three pirate factions: Pirates, Corsairs and Buccaneers. You must ultimately leverage this unity in all-out war against the evil Pirates of Black Cove. Manage and develop parts of three strongholds and visit them to pick up faction and storyline missions. Visit the Alchemist to find out what special ingredients are needed for the wacky potions and embark on adventures to find and collect them. Unite the three Pirate factions to gain access to their hero units and ultimately take down the Pirates of Black Cove and become King of all the pirates. If you have what it takes that is. 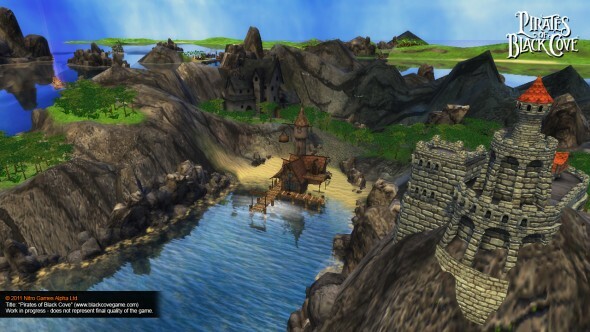 * Roam the open World with your Pirate crew and pick up missions as you sail the seas.